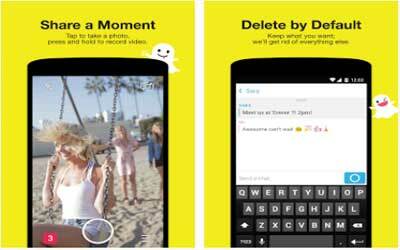 Previous version Snapchat 10.12.1.0 apk for Android will help you to downgrade or install older app easily. This is one of the best Social apps. Create a Geofilter for your wedding, event, or graduation right inside Snapchat — and starting at $5.99! Tap ‘On-Demand Geofilters’ in settings to get started. Tap the Paperclip to attach a website to your Snap. Friends can swipe up to view it! Add fun Backdrops to your Snaps. Tap the new icon inside the Scissors tool to try them out.